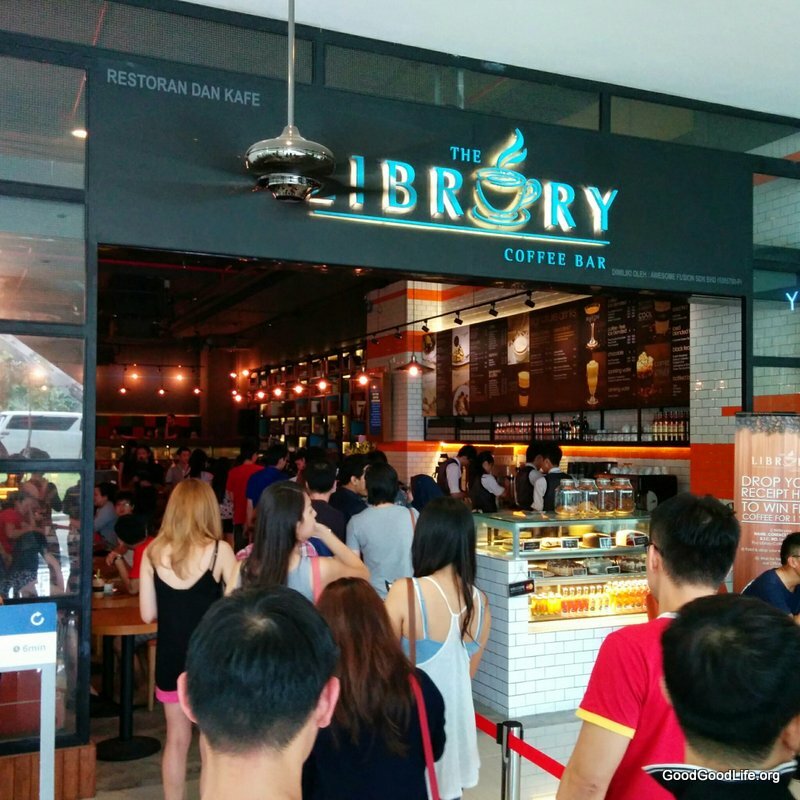 We went to the launch of the beautifully decorated Library Coffee bar in Nexus@Bangsar South. 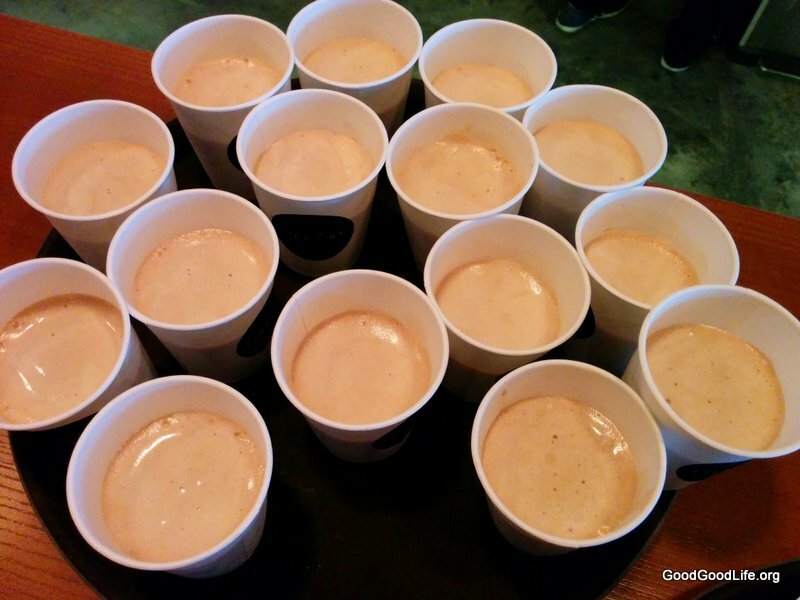 They were having a launch promotion of free coffees and waffles. Immediately We got in line for our free coffees. We were welcome by this guy. That was a nice touch. 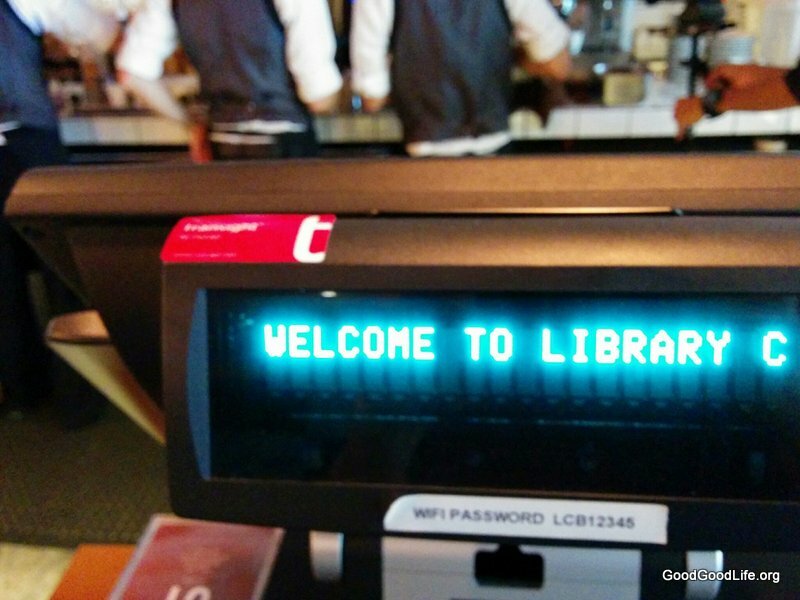 The cash register welcomed us to The Library Coffee Bar. Look out for the wifi password. The wide varierity of cakes, snacks and drinks. Was Seductive. We got our Coffee and Waffles and sat down to enjoy them. Our coffess were hazelnut one. And another which we couldn’t identify. The hazelnut coffee which we liked alot for being flavorful. Everything about the place was aesthetically pleasing. The decor. The food.The welcome sign on the cash register. As an amateur photographer armed with only a camera phone. I found it easy to take eye candy shots. I have to take my hats off to the owners of the outlet, for their attention to detail. I can foresee myself hanging out here in the near future. They also had a promotion whereby any patron who have bought something and written down their details. Would be randomly chosen to win 1 year’s worth of coffee. Unfortunately, we weren’t able to stick around to see who the winner was. 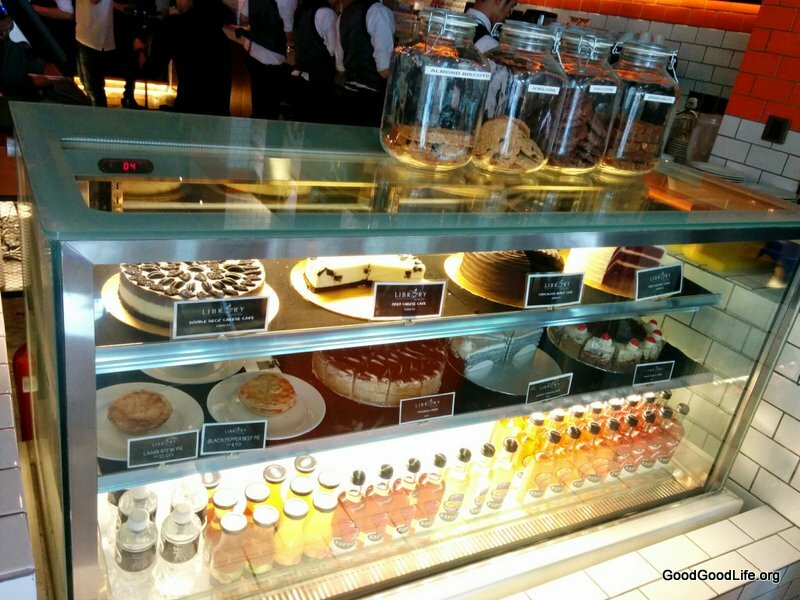 This entry was posted in Food and tagged bar, cafe, cafe culture, chillout, coffee, desserts, hangout by TheGoodGoodGuy. Bookmark the permalink.